The current approach to migrant children is piecemeal, focusing on protecting certain categories of children, such as unaccompanied, asylum seeking, refugee or trafficked children. Many children are falling through the gaps and facing grave and systematic rights violations. Being with a parent or guardian does not protect you from drowning at sea. It does not protect you from the harmful effects of being placed in detention. Nor does it replace public education, protect you from illness when you are not entitled to access health services or enable you to challenge immigration-related decisions that do not take your interests into account. It is time for a rights-based approach that protects all migrant children, including undocumented children and families. 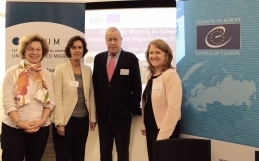 Over years of monitoring the human rights situation of undocumented migrants, the Platform for International Cooperation on Undocumented Migrants (PICUM) has been addressing an erosion of the rights of undocumented children in Europe. Although all children have equal rights in law, there are children in Europe who face systematic violations of basic rights – such as the rights to education, health, liberty and family – because they or their parents do not have the proper paperwork to reside in a country. Undocumented children are those without a valid residence permit, and living outside any system of state support (including the asylum system). Usually this is because they are residing with their parent(s) or other caregiver(s), but unaccompanied children may also be undocumented before they come into contact with state services, or if they disengage with them. Undocumented children are a diverse group, that often change between categories or statuses during the course of their childhood. For example, they may have submitted an application for international protection as a family, which was refused, or applied for an official family reunification scheme through a family member with regular status, but not qualified. If the parent of a migrant child loses their residence or work permit, which can happen when the personal or employment relationship that the permit relies on breaks down, they become undocumented, even when the reason is violence or exploitation. As the child’s status is dependent on their parents’, they too become undocumented. Undocumented children may also have entered Europe irregularly with one or more relatives or independently, and later joined their families. Some children are born ‘undocumented migrants’ although they have never moved, because they are born to undocumented parents, and there is no country in the European Union where citizenship is granted based on birth in a country alone. Children whose own status is regular – who may even be European citizens – can also be greatly affected by the irregular status of a parent, and face limited enjoyment of their rights as a result. All these children can be collectively referred to as ‘children in an irregular migration situation’. This diverse group of children is little considered in either migration or social policies. Important developments have been made in the area of migration recognizing the need for additional protections for certain categories of migrant children. However, children, and child rights, are not yet adequately visible and integrated into migration law, policy or practice. At the same time, while migrant children are increasingly targeted in public social policies, undocumented children are usually not considered or specifically excluded. Therefore, some children – and in particular undocumented children – are falling through the gaps in protection in both policy frameworks. Undocumented children are usually subject to the same immigration control measures as their parents, including detention, deportation and restrictions on basic social rights, without due consideration of the impacts on children, their rights, and their well-being and development in the short and long term. Enforcement measures – apprehensions, detention and deportation – are often carried out in violation of children’s rights. Indeed, the Committee on the Rights of the Child has reiterated that the detention of a child because of their or their parent’s migration status constitutes a child rights violation, and always contravenes the best interests of the child2. Further, the process, length and conditions of immigration detention often violate an array of civil, cultural, economic, social and political rights of children. Another concerning trend is the separation of children from a parent in order to detain the parent and not the child. The Committee has clarified that where deprivation of liberty is required, states should implement non-custodial and community-based alternatives to detention for families that fulfil child rights3. Immigration control interests often take precedence over the best interests of the child in deportation proceedings, although the child’s best interests should be a primary consideration, and the Committee on the Rights of the Child has stated that punitive measures should not be used against children4. Further, families are deported in traumatic conditions, with it not uncommon for immigration authorities to arrest parents from their homes early in the morning (when the family will all be home), waking children, and giving minimal time for their personal belongings to be collected. Children may witness a parent being handcuffed before being taken to a detention centre. There are also cases where families are separated through the deportation of one or both parents. The fact that immigration enforcement is also carried out by police is another key challenge for children’s rights, as it negates their right to access justice through police or judicial remedies. If a parent or child has suffered violence or other abuse, there is a significant chance they will be deported rather than protected, if they report it to the police. It is also very difficult for undocumented children to access justice due to limited possibilities to access information and afford quality legal representation. Children’s entitlements to access services are usually linked to their migration or residence status. In this way undocumented children are explicitly discriminated against in the legal framework. Further, numerous practical barriers often reduce or limit children’s access to the services they are entitled to, or their full enjoyment of their rights. PICUM has looked in particular at children’s access to education and health care as some as the most critical, alongside shelter and housing. Access to compulsory education is often granted to undocumented children by law. This is often due to laws which speak about ‘all children’ being required to attend certain levels schooling, and undocumented children are not excluded. The laws in some countries are explicit about the right of all children to education, regardless of their residence status. When legislation is explicit, rather than implicit about its inclusion of undocumented children, it limits situations where the right to education is constrained in some way. For example, undocumented children may not be allowed to take official exams or be denied formal certification for studies completed, because they are not officially registered as students or some form of national identification is required to do so. Undocumented children are usually formally excluded from carrying out internships and training, even when part of compulsory education, as it is seen a linked to work although it is an essential part of a child’s education. Further, access to non-compulsory education, such as early childhood education and care, 16-18 education (where not compulsory), further training and university, is very problematic for undocumented children and young people to access in most EU countries. Health care services on the other hand present an even more concerning situation. Except in a few countries, undocumented children have the same entitlements to access health care services as adults, with no additional protection. This means that their entitlements in law are very varied across Europe, and range from emergency care only in a large number of EU countries, to equal access as national children in a few. In between these two extremes, several countries provide undocumented migrants access to ‘urgent’ or ‘essential’ treatment. This can be interpreted to include most health care services for children or very few, depending on the national, regional or local context, either in law or in practice. Undocumented migrants rarely have access to continuous, specialist (e.g. dentistry, optometry) and mental health care. Furthermore, access to services in practice can vary greatly from the entitlements on paper. There are many practical barriers that are relevant to various social services and EU countries, while others are more specific. Common barriers include: inability to provide documents required for registration or other administrative purposes, such as identity documents and proof of address; discretionary power on local level and discrimination; lack of awareness of undocumented children’s rights and the relevant regulations on the part of both service providers and undocumented children and families; complex rules that change often; risk of detection through accessing services, in some cases due to an explicit duty on public officials to report undocumented migrants to immigration authorities; and barriers associated with conditions of living in an irregular migration situation. For example, undocumented children and families often have to move frequently, live in poor conditions, and struggle to meet costs, such as for transport, lunch and books (education), and for treatment and medications (health care). Rights are also interdependent, meaning that if children are unable to enjoy one right, it can infringe on their enjoyment of others. For example, if a child is unwell and does not have access to health care, their attendance and performance at school might suffer. Children are also affected by the impacts of restricted access to rights for parents, in particular when this results in parent’s having poor physical or mental health or in family destitution. The current approach to migrant children is piecemeal, focusing on protecting certain categories of children, such as unaccompanied, asylum seeking, refugee or trafficked children. While some children have additional protection needs, this should be based on the individual child and not constructed administrative and legal categories. Furthermore, many children are falling through the gaps in these limited protection frameworks, and facing grave and systematic rights violations. Such categories and specific protection measures must be situated within a holistic approach to migrant children based on child rights. Therefore, PICUM is working collaboratively – with a range of organisations and institutions working on human rights, migrants’ rights, children’s rights, health, education and social inclusion – to call on the European Union and its member states to build on the commitments they have made in numerous international, regional and national laws and policies, and reaffirm their commitment to every child regardless of status5. From this, children should be ensured non-discriminatory access to services, protection and justice. Laws, policies and practices that discriminate against children according to their migration or residence status should be revised. Detention of children for immigration purposes should immediately cease, and alternatives to detention for families that respect child rights developed and implemented. 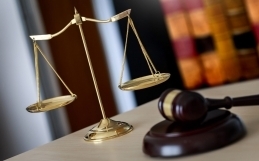 Existing legal safeguards should be ‘operationalised’ – made a reality in practice for children. For example, further guidance should be developed and delivered on how the best interests of the child principle can be applied in practice. Child rights tools that are being developed and implemented for certain categories of children should be adapted and applied to other groups of migrant children, and the promising laws, policies and practices that are improving protection of all children’s rights regardless of status in some countries and localities should be transferred to others. A comprehensive and integrated approach means that migrant children’s rights should be addressed in all policy areas. To meet this objectives requires concrete actions in different policy areas by different actors and coordination between them. The European Union is in a transition period, a period of looking forwards. With a new Commission (including for the first time a Vice-President charged with Fundamental Rights) and new Parliament, there are key institutional opportunities to make a difference. There are several natural opportunities to integrate a child rights approach to migrant children into planned policy processes that are defining and elaborating strategies and actions in the areas of child rights and child protection, migration and home affairs, and the protection of migrant children within this. The momentum of developments at national level – both positive and negative – further underlines the importance of the Council as a space for establishing common standards and for peer exchange to meet common objectives. In sum, it is a critical opportunity to improve the protection of all migrant children’s rights in the EU. 1 Nando Sigona and Vanessa Hughes. 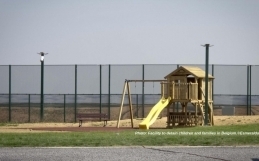 No Way Out, No Way In: Irregular migrant children and families in the UK, May 2012, ESRC Centre on Migration,Policy and Society, University of Oxford. 2 Committee on the Rights of the Child, The Rights of All Children in the Context of International Migration, Report of the 2012 Day of General Discussion, 2013, para 78. 3 Committee on the Rights of the Child, Ibid, para 79. 4 Committee on the Rights of the Child, Ibid, para 78. 5 See for example, Joint open letter to the European Council calling for European commitments on children’s rights to be prioritised in future common migration and asylum policies, 22 May 2014, available here.